Though the battles of World War II were fought far from the shores of the contiguous United States, the War descended on this country like a thick, black cloud. Everything else paled in comparison and Americans put all their efforts into saving our country and bringing our soldiers home from the front. When it finally ended, in 1945, the black cloud lifted and optimism bloomed. The American people had fought through depression and war - and won. Americans had a desire to live life to the fullest and improve both themselves and the communities in which they lived. It was in this environment that Dale Medical Center was born. 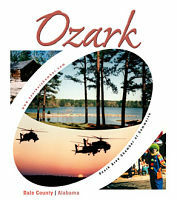 It began as a grassroots effort led by Ozark civic clubs like the Lions Club and the Kiwanis Club. They proposed the idea of a hospital and raised the first funds that would eventually make their dream a reality. The city of Ozark donated the land on which the original facility was built and though Dale County citizens twice defeated a four mill tax to operate the hospital, the County Board of Commissioners saved the day with an appropriation that launched the hospital. Dale Medical Center opened in 1951 with 8 physicians. In the early days these were general practitioners. Doctors from Fort Rucker "moonlighted" at the hospital to provide specialty medical care. It cost $600,000 to build the 50 bed hospital. The County planned to use dollars accumulated in a Fines and Forfeiture fund to operate the hospital during its first year, then it was hoped the facility would become self-supporting. That hope must have become reality because Dale Medical operated without any outside assistance until 1961 when a three mill property tax was passed by a slim margin of 37 votes to support the hospital. This was expected to bring in $36,000 annually and was used to offset costs of indigent care, to provide matching funds for future expansion, to meet capital expenditure requests, and to replace wore equipment. The hospital operated 11 more years before a $2.7 million expansion was completed in 1972. A $5 million Surgery Center, with $1.5 million dollars' worth of new equipment, was added in 2001. Today, Dale Medical Center has 89 beds, 35 multi-specialty physicians and 360 employees. In addition, to inpatient medical and surgical facilities, the hospital has a special unit for patients with mental illness, a state-of-the-art CAT scan unit, a high field MRI unit, an outpatient therapy clinic, and outpatient surgery center and a STATMED urgent care center. Also operating under the auspices of the hospital is a hospice care department and a home healthcare agency that has been named among the top 500 in the nation, selected from more than 9,300 qualifying agencies. Dale Medical Center stands today as a testament to the American spirit and as a monument to those who had the vision to make it a reality.